California’s Marin County has rightly earned a reputation as a mecca for cyclists. The cluster of San Francisco suburbs is consistently sunny, has mostly flat riding surfaces, and has fostered a culture that promotes cycling in cities and on bike paths. And in 2005, Marin County was one of four jurisdictions nationwide to receive $25 million in federal funds to improve bicycle infrastructure and increase ridership. 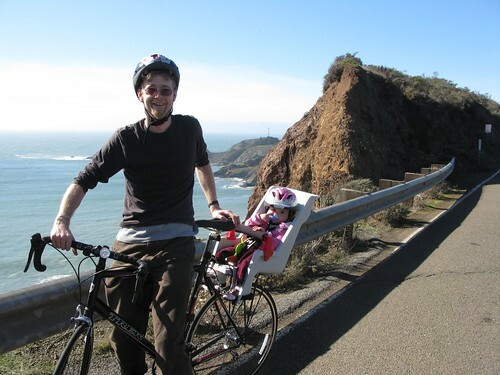 The program was successful, and contributed to the fact that Marin County only had one bike accident death between 2005 and 2010, the lowest total throughout the Bay Area. On first glance, this anecdote suggests that an initial investment in bicycle infrastructure and street safety could lead to fewer traffic deaths and save cities a bundle in injury and legal fees in the long run. While this is true, communities throughout the Bay Area, Marin County included, still have a long way to go when it comes to reducing bicycle accidents and traffic fatalities. Despite the low number of bike accident deaths in Marin County over the past five years, for example, the total number of bike collisions has increased, reaching 147 in 2009. This is not to say that Marin County should be considered an especially dangerous location for cyclists. In fact, both Alameda County and Contra Costa County report far more bike accidents each year than Marin County. But even in those areas that are considered safe, cyclists and motorists should take the same precautions, including wearing safety equipment and obeying all traffic signs, to avoid bike accidents. That holds true whether you’re cycling in San Francisco, Berkeley, Walnut Creek, and even Marin County. Visit the Bay Citizen’s Bike Accident Tracker for more on the location of collisions throughout the Bay Area.